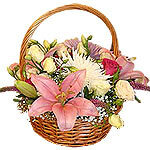 Product description: Send Mix Flowers in Beautiful Arrangement. 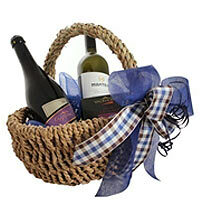 Send Your Feeling with Special gift of Flowers in gift basket. Roses are the perfect gift for all seasons. 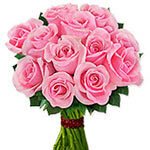 A classic presentation of 10 pink roses for any occasion - anniversary, birthday, congratulations or just because they deserve it. 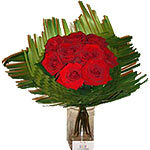 When words are not enough to express your feelings then let this extraordinary bouquet of roses speak for you. These roses will surely know them your deep love. 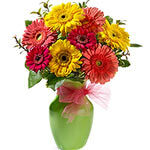 This bouquet is made of mixed bright Gerberas and quality foliage. 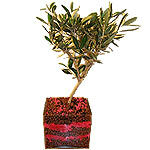 A Bright and funky selection that is sure to please and have a message - 'Have a bright morning'.